Flowers in a row is just beautiful. You can use it in baby frocks or other items. It inspires every knitter, whether you are a beginner or an experienced knitter looking for something a little more challenging. 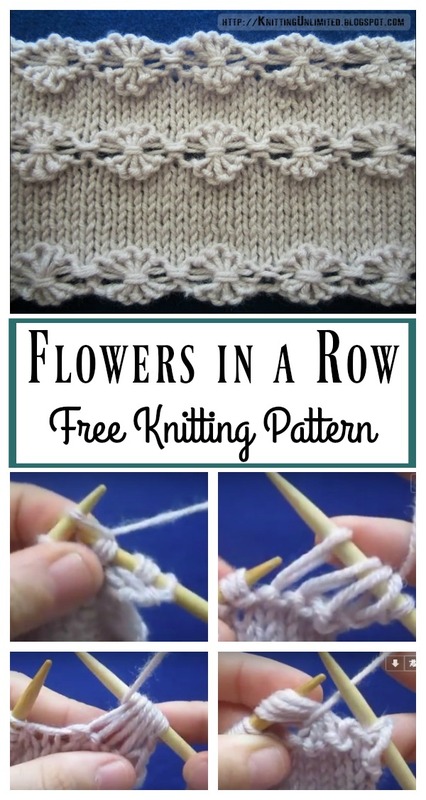 The Flowers in a Row Free Knitting Pattern is easy and fun to knit. It comes with a video tutorial to guide through the knitting process. The pattern is totally customizable by changing width or length. You will be amazed by the end results. Have fun. Clink below link for free pattern and video tutorial….